My Little Pony continues its success on the small screen and fans cannot get their fill of the many pony-themed toys and collectibles. 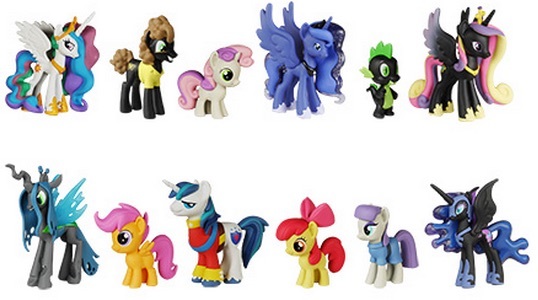 2015 Funko My Little Pony Series 3 Mystery Minis figures offer more options for the popular series. 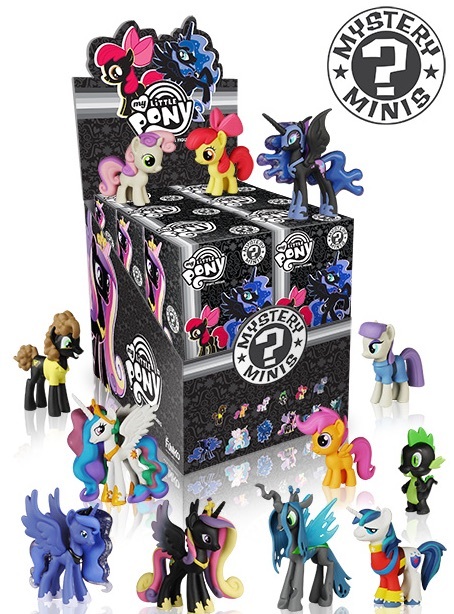 Picking up where Series 2 left off, the MLP Series 3 release brings a little more color back into the fold, but several black versions are still found. This includes Spike, one of the main characters from My Little Pony: Friendship is Magic. The total number of mini figures increases from ten to twelve ponies. Although full odds were not provided, if the line is anything like the previous edition, several of the mini figures will be a bit tougher to pull. However, it is possible that the odds will be a simple 1:12 for each. The Funko Mystery Mini format means that each of the figures comes in a sealed box and the subject is unknown until it is opened. Funko RARE My Little Pony HOT TOPIC Mystery Mini Princess Cadance FREE SHIPPING!